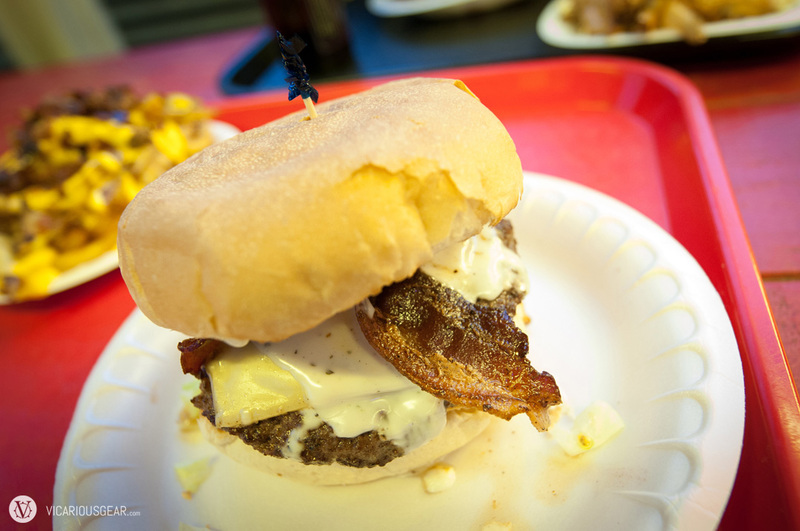 I ended up trying Hubcap Grill because it is down the street from Gatlin’s BBQ, which had just sold out for the day. 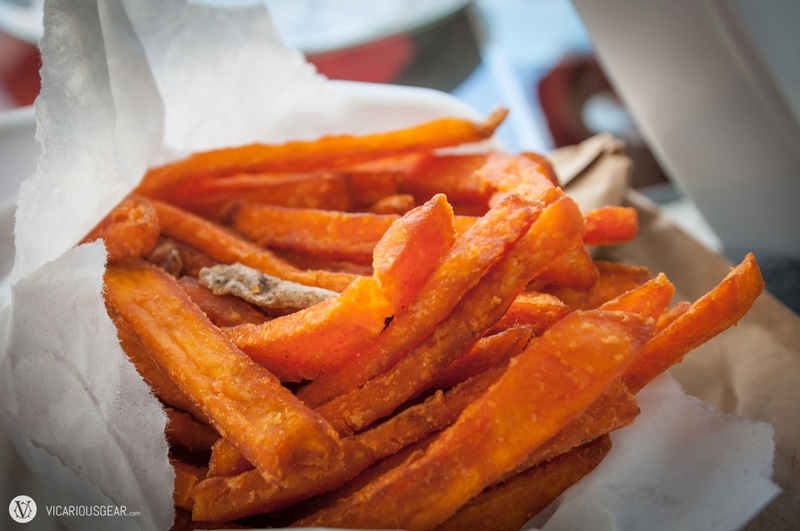 The selection of burgers and fries is pretty large and amusing, with a ton of childhood throwbacks found in the ingredient lists. The novelty of getting stuff like Cheetos, peanut butter or Fritos might make trying this place out worthwhile for some, but I wouldn’t go out of my way to find it. Somehow, I ended up tasting a pretty large variety of stuff from their menu and felt pretty indifferent to their offerings afterwards. 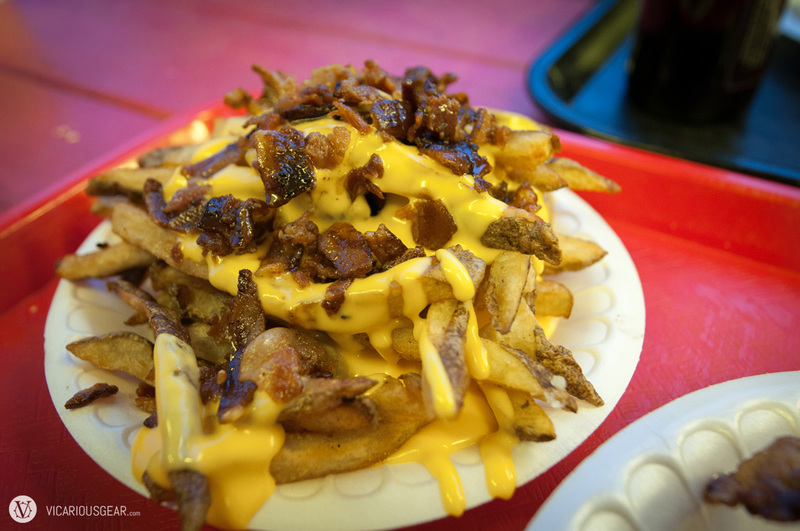 However, I love looking at burgers and fries, so here they are. 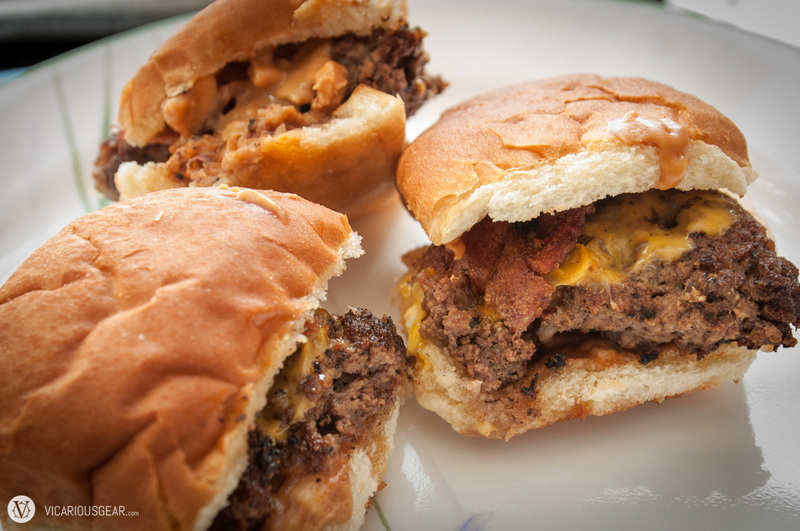 Sticky Sliders: Mini-Burgers with bacon, American cheese,and crunchy peanut butter. Liked these the best. 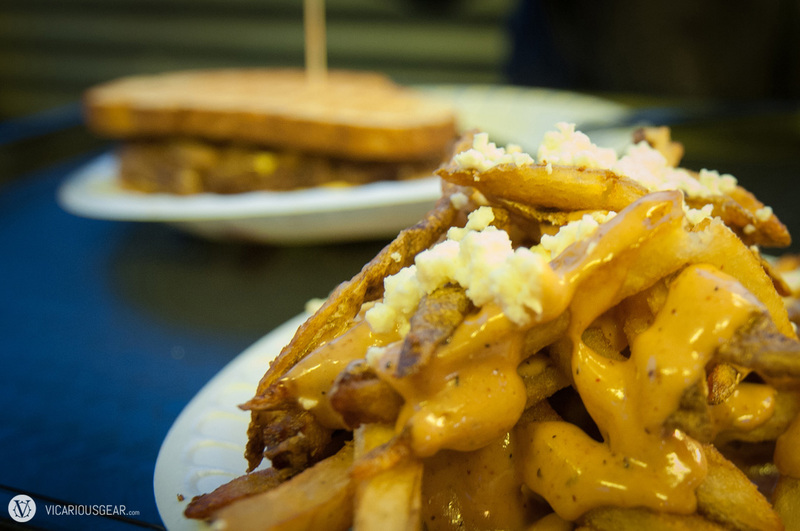 Think these are the Greek Fries, topped with feta cheese & Hubcap sauce. Hubcap Decker: Two fresh ground beef patties layered on toasted buns with American & Swiss cheese topped with lettuce, tomato, pickles, onions and special mayo sauce. Ranch BLT with bacon, ranch dressing,Swiss cheese, lettuce & tomato. I though the tongue of bacon taunting me was cool. 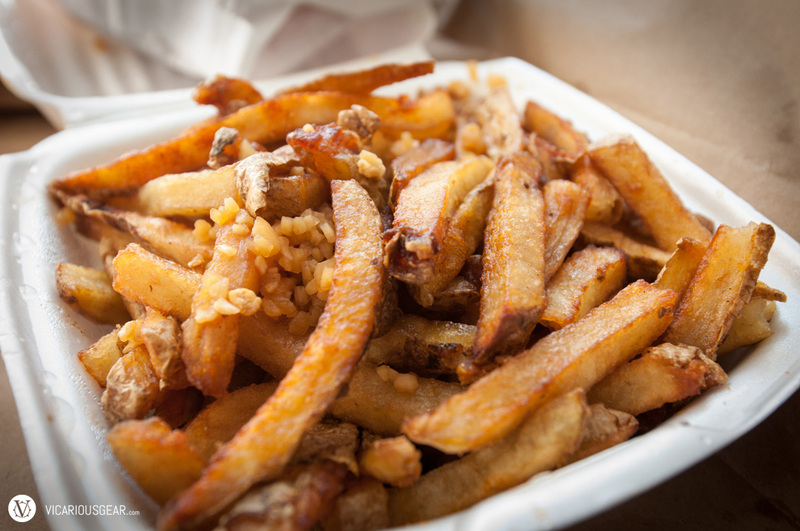 Stinky Fries. Splashed with malt vinegar and garlic salt. I was expecting more of that great Salt & Vinegar potato chip taste. 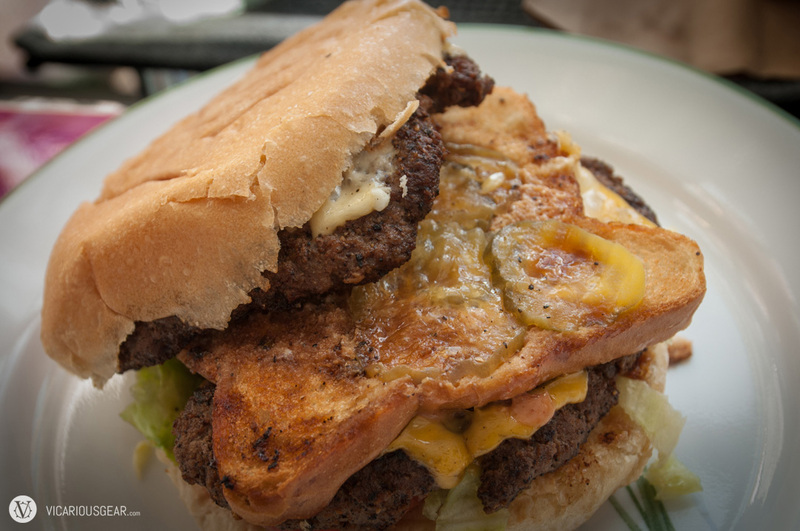 Black and Blue Burger. 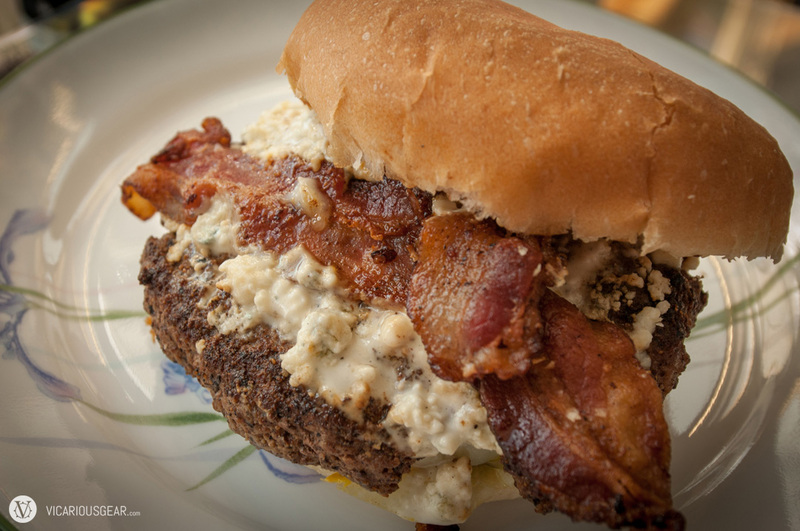 Blue cheese and Bacon of course. 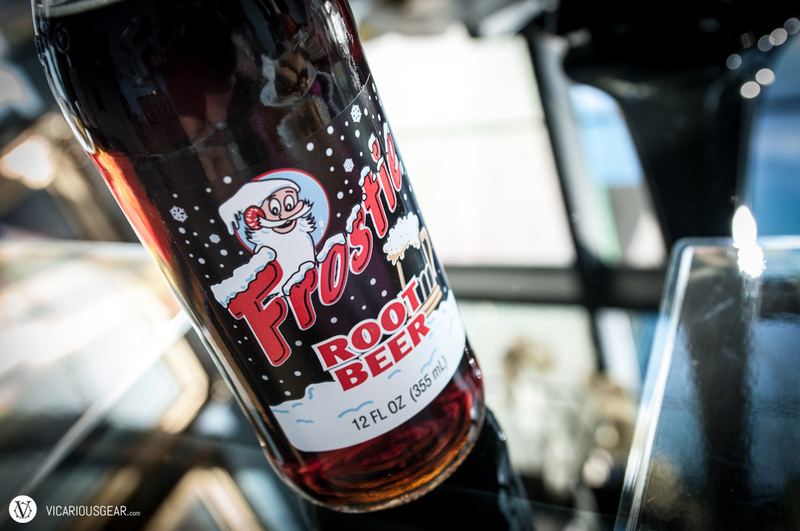 This bottle of Frostie root beer had a cool label and cap. Wouldn’t mind having this again.